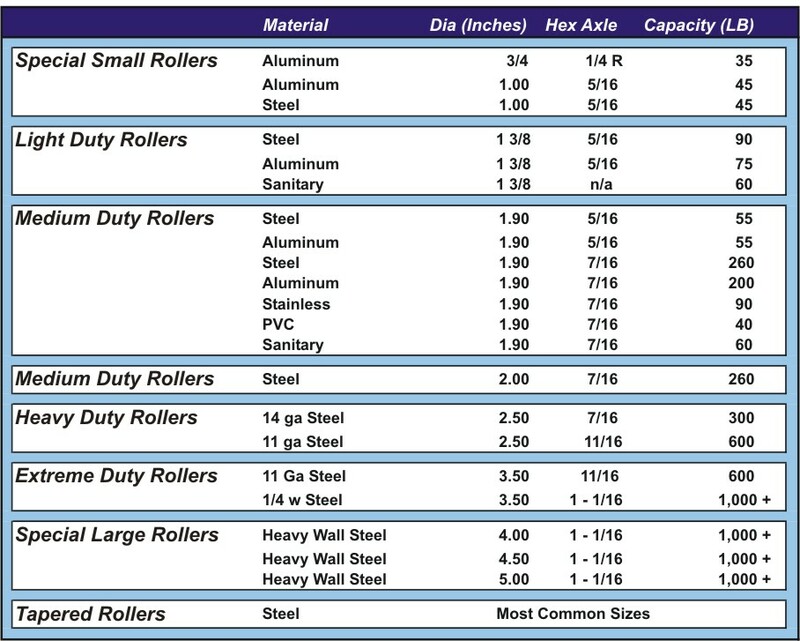 We have rollers in every size and style. They are available with rugged industrial bearings (sealed or regreasable) or with precision bearings for super easy rolling. Please note that capacity decreases as the conveyor gets wider.Axles are usually spring loaded so they just pop in. Cotter-pin mounting is also available for narrow conveyors, or for some intensive industrial applications. Yes, we have your roller. Ask your Univeyor rep.